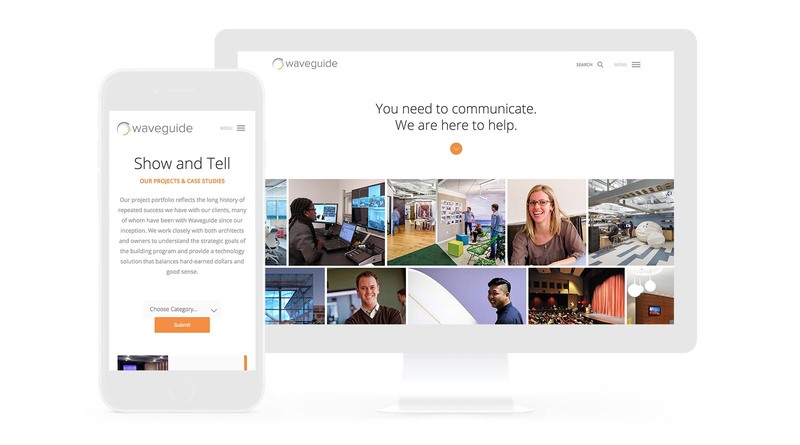 Once initial designs are complete, ongoing partnership clients receive routine design audits in which a variety of testing tools (e.g., heat mapping, A/B testing) are used to subtlety adjust layouts, calls to action, and visual hierarchy. This non-stop improvement creates websites that not only keep looking like four-star restaurants but also have the functionality and advanced programming to deliver leads, clients, and revenue. 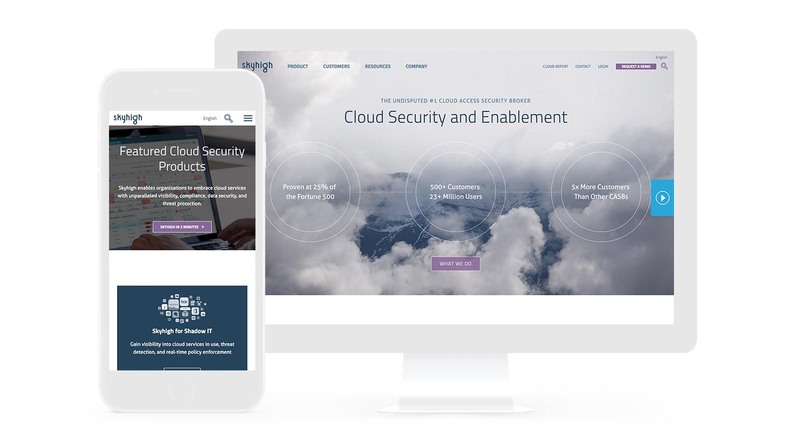 Skyhigh Networks is a leading cloud security software provider—essentially allowing enterprises to embrace a slew of cloud services without worrying about compliance and data security. 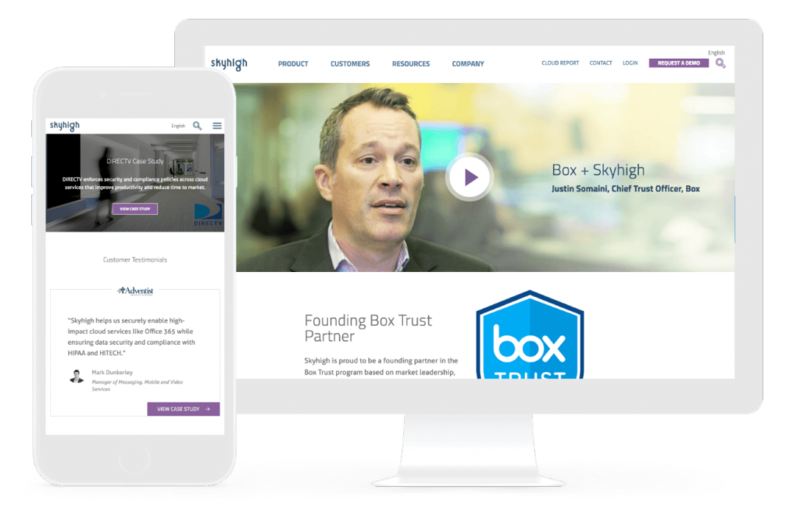 So, when Skyhigh expressed the need for a website and digital marketing campaigns capable of growing with the business and truly reflected its dominance in the cloud analytics space, we went a little overboard. Using the design of Skyhigh’s elegant yet complex proprietary software as inspiration, we worked to provide the user with visual consistency across the website, ongoing marketing, and software. From there, it was a matter of balancing content—consolidating walls of text to keep flighty browsers engaged, while also creating sets of universal visual cues to allow the interested to dig deep into technical information. The result is a website and ongoing digital marketing projects that mirror Skyhighs’ own attention to detail and versatility. Washington State Employees Credit Union (WSECU) is not your typical credit union. 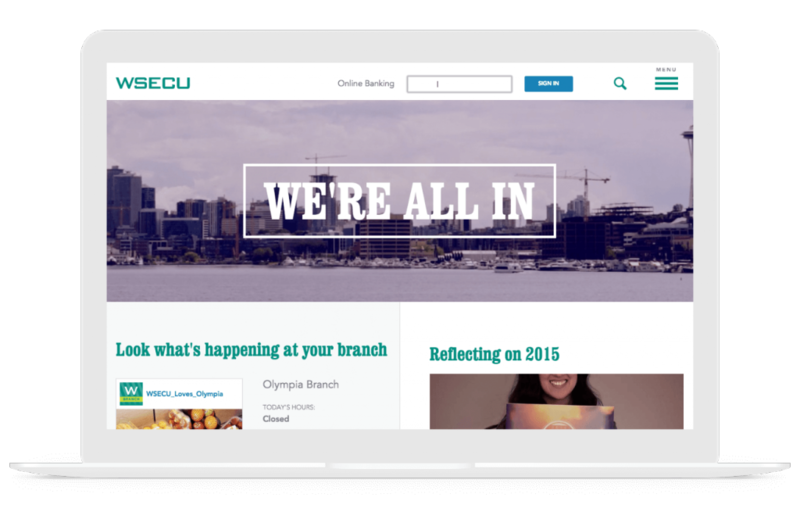 Fresh off a rebrand and opening memberships beyond state employees, WSECU approached Gravitate recognizing the digital apathy across its industry and saw an opportunity to become a leading digital branch in the Pacific Northwest. With WSECU’s goals, refreshed branding, and comprehensive competitor research in our back pockets, our strategists and designers locked themselves away with whiteboards and hundreds of post-it notes—predicting and mapping detailed user paths that will directly inform visual and messaging direction of all future digital projects. As you can imagine, when you plan this extensively not much is left up to chance. 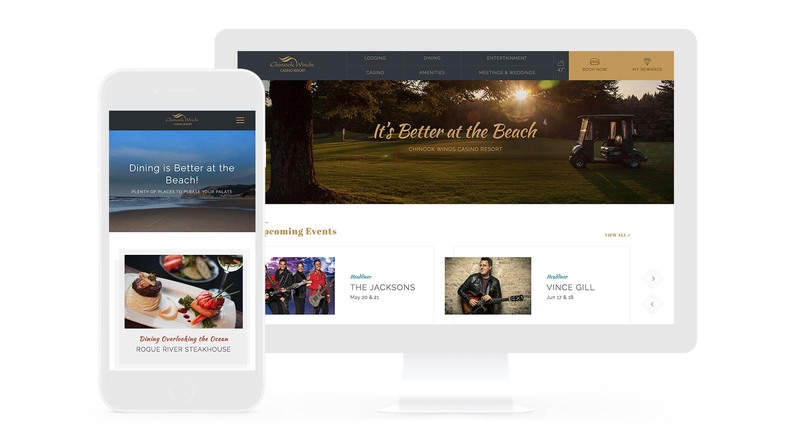 Our designers were able to focus on really making the refreshed brand come to life, from subtle compositional details and photography direction to creating visually compelling user experience that adapts to current and potential member’s needs—no matter the screen size.